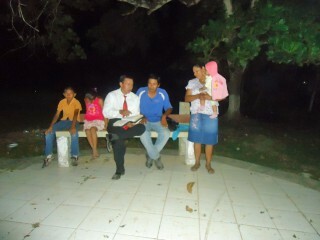 Pastor Miguel and his family are working in Sachojere community as missionaries. Eugenia Lopez is a social worker with Samaritan’s Purse in Bolivia. The Sachojere community in Bolivia is made up of about 500 people, most of whom are farmers. The community is male-dominated, and there is a lot of domestic violence. Samaritan’s Purse has been working to promote family wellbeing in Sachojere for more than a year. We’ve taught a series of workshops and worked with local authorities to streamline the process of handling cases of domestic violence. Since we believe that violence is primarily a spiritual issue, we seek to confront it with the truth of the Gospel and to equip the local church to be an active player in the fight against it. The root cause of domestic violence is sin. Our number one priority as a program is to share the Gospel of Jesus Christ. 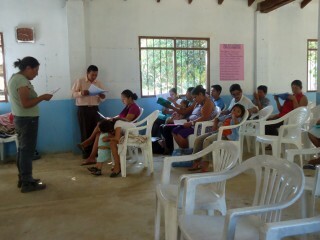 Pastor Miguel and his family talk about the Gospel with community members. We understand that nothing will change until Christ has taken control of the lives of our beneficiaries. In each training session, we always stress the importance of entering into a personal relationship with Jesus Christ. As the program began training local counselors, churches took an active role in promoting family wellbeing within the community. Miguel Zabala, pastor of the Sachojere church, made a commitment to help families who were suffering from violence. 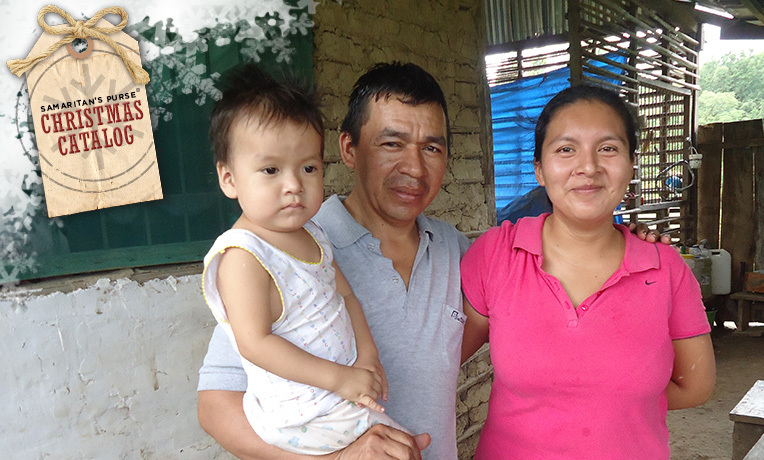 Miguel has been living in this small community for nearly 8 months, and he now serves as a missionary with his wife and four children. Not long ago, Miguel had the opportunity to put his training into action by helping a woman who had been abused by her husband. He gave her asylum at the church. She and her two children stayed for a week until they were able to get assistance from the regional ombudsmen office. Teaching community members about the Gospel and working with local authorities to handle domestic violence are two ways Samaritan’s Purse is helping the situation. While they were at the church, the congregation provided counseling and took care of her physical needs. Pastor Miguel was moved by this experience and desires to continue participating in the program’s workshops so he can be more effective in helping victims in his community. Even though the program is just starting to gain momentum and has just now begun to produce fruit, we believe that the most important result has been accomplished. The church’s indifference has been shattered, and believers now care. And when the people of God care, they will learn, work, and pray until something happens.